through the practice of Centering Prayer. 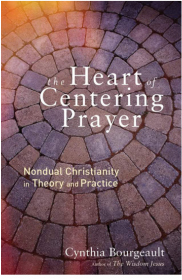 The Heart of Centering Prayer: Nondual Christianity in Theory and Practice is a wonderful book for Advanced Centering Practitioners to deepen their understanding of Centering Prayer. At a time of growing fear and polarization, we desperately need a new way of thinking and being. Centering Prayer is one of the most practical methods for opening our minds and hearts to nondual, heart-centered awareness. Cynthia offers guidance for both beginners and seasoned practitioners as well as some tantalizing glimpses into the windows this practice opens upon Christianity’s well-hidden nondual path. During the live webcast, viewers may submit questions for Cynthia to address as time allows. Several members of the Contemplative Outreach of Connecticut Chapter Leadership Team are currently reading this outstanding book and we highly recommend it. Click here for: Cynthia's Recorded Boston College talks on topics from this book. Richard Rohr's Daily Meditations for the week of February 12 - February 17, 2017 focused on Cynthia's Centering Prayer work. 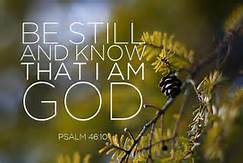 Click here for the Weekly Summary with links to daily insights.